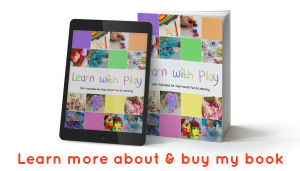 Preschoolers love to use scissors and snip away at pieces of paper, and those tiny pieces can make a really big mess. 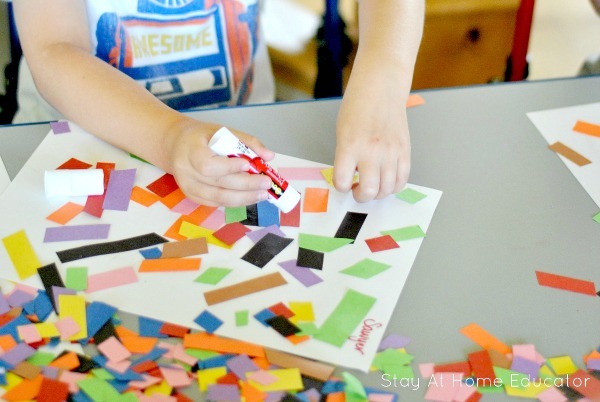 Well, invite your preschooler to help “clean-up” that mess by using those tiny paper strips in a piece of snipped paper collage art, which just so happens to be excellent scissor practice and fine motor practice! 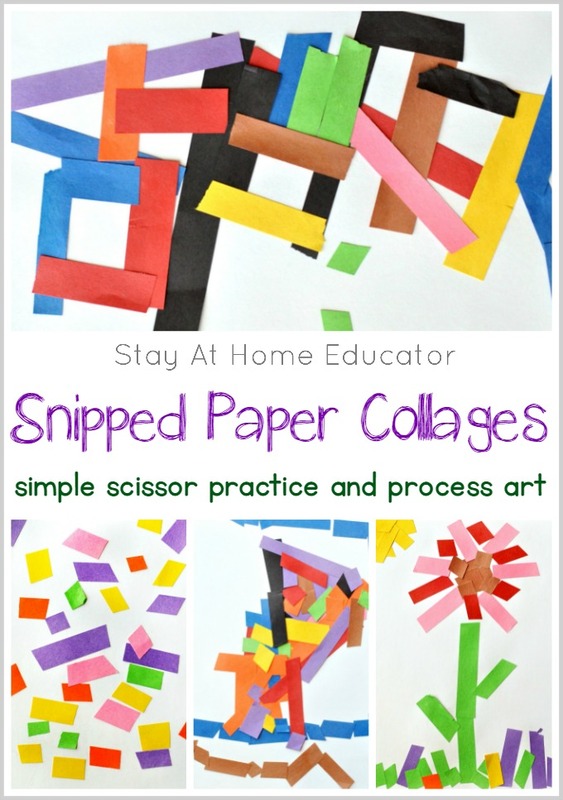 Snipping paper strips is a fantastic way to introduce preschoolers to practice using scissors. If there were official phases of learning to cut, I’d say that snipping might be the first. 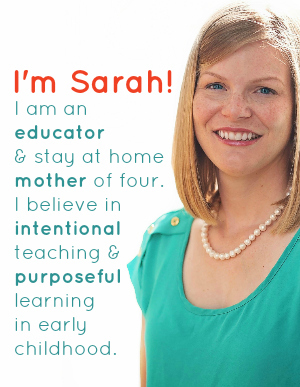 You see, when preschoolers are first learning to use scissors, they often struggle with opening them all the way, and they might also struggle with moving their scissors forward while cutting. Thus the snipping. The general act of “close, open, move, close, open, move” takes a tremendous amount of coordination for learning hands, so often doing anything more than simple snipping can be very frustrating for preschoolers who are new to using scissors. While someone outside the classroom might look as snipping paper strips and assume the children are just making a giant mess of teeny, tiny pieces of paper, (which they are, and what could go wrong when you essentially give a kid some confetti ), the preschoolers are certainly getting a lot of scissor practice in as well. But those confetti-like pieces of brightly colored construction paper can have a purpose when added to an art center. And that’s where snipped paper collage art come in. 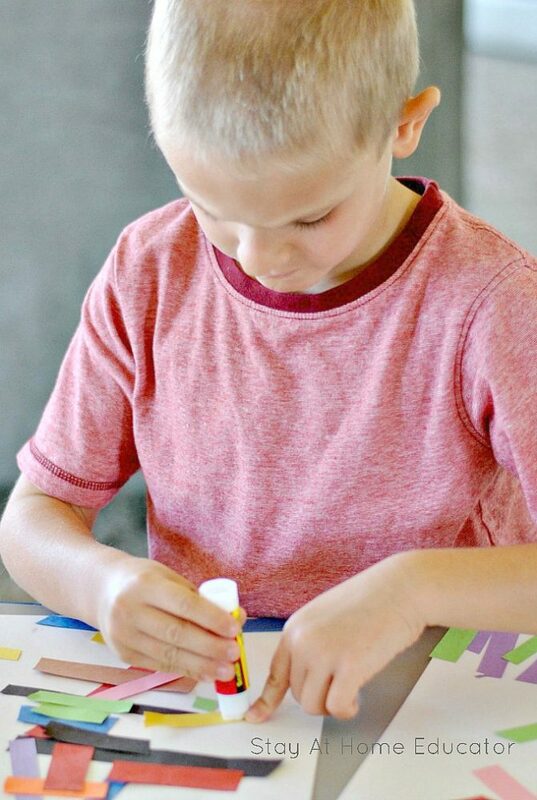 Now, not only do preschoolers get to practice their developing scissor skills, they also get to practice other fine motor skills as they glue them together to make their collage. Not to mention they also get to exercise their creativity, too! My favorite part of this activity was how different each piece turned out. Being completely process based, it didn’t matter to me if the children wanted to create a defined picture with their pieces, or just “randomly” glue them around their paper. several pieces and colors construction paper (This multicolor pack is great, or you can go crazy and use this kaleidoscope patterned origami paper). 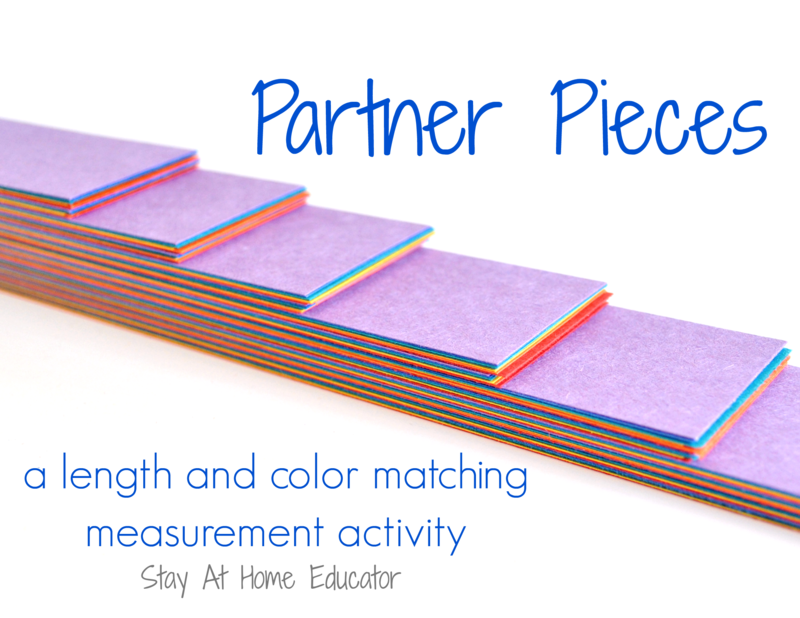 Precut the construction paper into one-inch strips going the length of the paper. 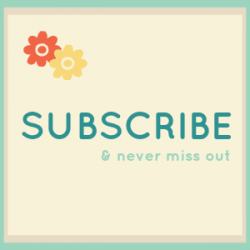 Set out on a tray with some scissors and invite your preschoolers to come and snip away. The preschoolers worked for a fairly lengthy period of time snipping away at their paper strips. Some students selected only strips of certain colors, while others grabbed whatever was in front of them. Some of the children worked very diligently to cut tiny bits of paper, while others were just happy to use the scissors and haphazardly snipped at the paper, not worrying about the length of each piece. During activities like this one, I try not to impose too much on the children, however I really did want them to get a good amount of scissor practice in, so I challenged the students to make sure to cut each strip of paper into pieces that were smaller than their pinky finger. They snipped and snipped away, while I made the rotations to help students that needed guidance and correction. there is a very specific way to use scissors, and I wanted to be sure my preschoolers were learning correctly. When the scissor cutting was complete, we pushed the tiny bits of paper into the center fo the preschool table and I gave each student a piece of paper and some glue. I invited them to use the snips of paper to create a picture of their choosing. Some of the children worked diligently on creating a specific picture they had imagined, carefully selecting certain pieces of paper and discarding others. And other children grabbed any piece and found a place for it on their paper. In the end, our class ended up with a wide variety of pictures, and all the children were so proud of their own!